Okay so I might be four months late to the party…but I refuse to wait till next holiday season to post this cool find. Check out this video called ‘Experience Mobile Mobile’, by James Théophane Jr., which shows cell phones strung together that collectively make a musical mobile. Sound confusing? It won’t be after you see it. People snorkeling in Cancun will get a little treat by way of the “Subaquatic Museum” by British artist Jason de Caires Taylor. 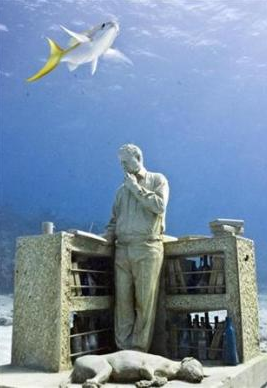 About 400 life-size casts will be submerged off the resort of Cancun by the end of 2010. It is hoped that the low-acidity cement figures, designed to be anti-corrosive and mimic rock, will be transformed over time into artificial reefs. Some will be in shallow waters for snorkelers to enjoy. An eye-opening and funny video titled ‘Emergency Brake’ by Casey Neistat which explores just when is a good time to pull that little rope handle. It seems New Yorkers really don’t have a clue when it’s appropriate. 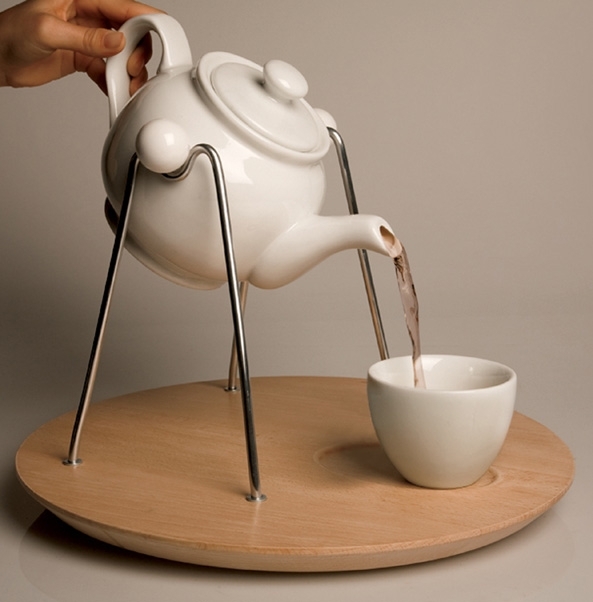 The teapot frame for the lazy pourer. We wouldn’t quite call this minimalistic. We’d call it rather an invention for those too lazy to break out their protective mitts, or have fear-from-holding-heavy-objectitis. That is why it’s in our Funny Photo of the Day. Seriously, how lazy can you get? Fashion normally wouldn’t go hand in hand with a soft drink that is fattening…but it’s ‘Lite’ so there is the loop hole. 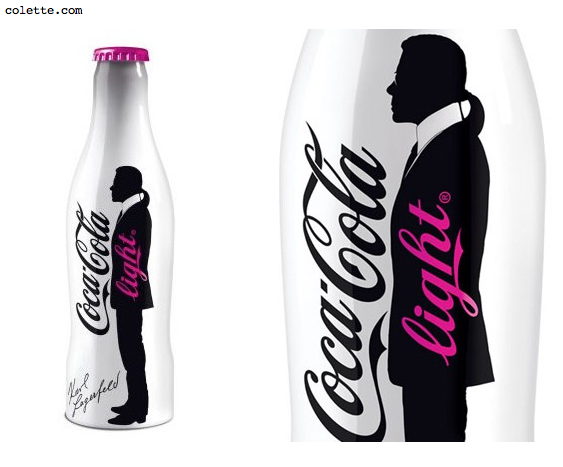 Karl Lagerfeld has lent his image to soft drink king Coca-Cola on their ‘Lite’ brand (Diet Coke), in the form of an $81 limited edition box-set. (What is this a 1960′s classic CD’s set?). Anyway…Coke mavens, collectors and people with throw away money, will ooh and aahh over the black, white and pink case of Coke (with a silhouetted Karl on its side), that contains one single bottle of Coca-Light, plus a little bottle opener that pulls out of a drawer underneath the beverage. TheArtsMap- Finding all things art related near you. From art school to galleries to artists. 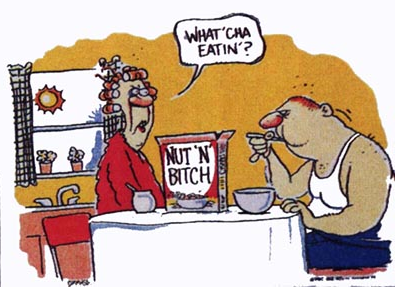 Ever wonder what gives a cereal staying power? We found 11 cereals that surely didn’t have it. Do you remember any of these?